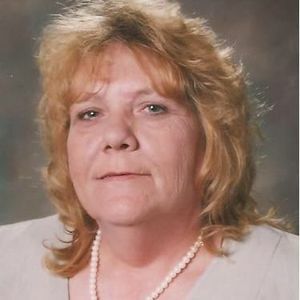 DRAKESBORO - Martha Ann McLevain, 57, of Drakesboro, died Thursday, March 12, 2015, at her home. Mrs. McLevain was born September 26, 1957, in Jefferson County. She was a laborer at Purdue Farms. She was preceded in death by her husband, Jimmy McLevain; and son Bobby Joe Vincent. Survivors include her sons, J.W. (Sharon) McLevain of Madisonville and Jason (Amanda Danielle) McLevain of White Plains; daughter Diana McLevain (Matthew) Schindler of Livermore; grandchildren Amanda McLevain Brunson, Brandon Powers, Caleb McLevain, Dylan McLevain, Garrett McLevain, Jeremiah McLevain, and Daniel McLevain; brother James Brown of Central City; and sisters Brenda (Rick) Gossett of Bensenville, IL and Faye Brown of Central City. Funeral services will be Tuesday, March 17, 2015, at 1:00PM at Tucker Funeral Home in Central City, with Rev. Steve McElvain officiating, assisted by Rev. Jonathan Turner. Burial in Rose Hill Cemetery. Visitation will be Monday after 5:00PM at the funeral home. Online condolences may be made at www.tuckerfuneralhomes.com. my name is curtis mclevain and im thinkin we may be kin in someway. Would like 2 get in touch threw e mail and see. Very sorry bout the family lose. Im sure she was a great lady. Please get in touch so we may talk. My condolences to the family and prayers. I remember sitting with Martha at church in the fellowship hall. My first time having a conversation with her. I have no idea what we said, but I remember thinking she was funny. Also that she didn't mind to tell you what she thought. I enjoyed her very much. I still can see Amanda rolling her eyes whenever Martha got going. Good times! I am so sorry to hear about Martha's passing. I worked with her at Perdue for a long time and she always knew how to make me laugh at work. She was a good woman and will be missed by so many people.